(CNS): A man awaiting trial on attempted murder charges has been released on bail after spending more than six months in custody and following the collapse of his trial last month. Justin Ramoon (21) has been granted bail after a panel of jurors was dismissed half-way through his trial as a result a potential prejudice of the legal arguments presented by attorneys. Ramoon is now set for a retrial with a new panel of jurors on 15 July. Despite the crown counsel’s objections over what it said was a risk to the complainant’s safety, Justice Charles Quin allowed the George Town local man to be relieved from prison in connection with the charge of stabbing Andrew Lopez outside a George Town bar last August. Although his bail was refused before by Justice Alex Henderson, Ramoon’s defence counsel was given the okay to reapply for bail after the trial had come to a halt. Ramoon’s bail variations run in parallel to the seriousness of the offences he is facing. His defence counsel submitted that he has faced serious charges before and made all efforts to attend court and will continue to do so because he wants to “clear his name”. In addition, his mother handed up her land as surety in faith that her son will be present when required. Justice Quin proceeded to bail Ramoon at a price of $950 and two sureties of $5,000 each and ordered that the defendant be fitted with an electronic tag as well as imposing a curfew from 8pm to 6am. Ramoon is to remain in residence with his mother and is not allowed to go into the Prospect area, where his alleged victim lives, unless required by his job. Quin added that Ramoon must attend the police station three times a week as well as surrender his travel documents. (CNS): The significant donations given to a select few churches via the controversial Nation Building Fund established by the former premier have ensured the politicization of the church in this election campaign. With millions of dollars going to the churches since the fund was created in 2010, the nation building initiative is being associated with vote buying — an accusation that was reinforced by the PPM’s George Town candidate, Marco Archer, on Wednesday when he pointed to the discriminatory nature of the donations. Meanwhile, UDP Leader McKeeva Bush accused opponents of the fund as critics of the church, implying those not supporting his nation building efforts were not good Christian people. Speaking at the opening of the UDP’s new George Town headquarters last week, Bush defended money given to religious institutions and said that assisting churches was one of the UDP’s campaign promises in 2009. He said many churches were heavily damaged in Hurricane Ivan in 2004 and were struggling to rebuild. The Nation Building Fund was being used to help churches turn the buildings into hurricane shelters, Bush said. “It is high time people stopped castigating our churches,” Bush added, as he described them as the country’s moral compass. Speaking to an audience boosted by congregations from George Town churches where the former premier has been worshiping recently, Bush spoke about the importance of the church in nation building and accused those who were criticising the fund of attacking religion. With the powerful influence of pastors on their congregations, combined with the significant disparity in the public cash that has been given to the various church groups, concerns among Christians on all sides of the political debate have been raised about the fund and how cash is allocated. Donations have varied from millions given to a few churches (see related stories below) and a couple of thousand to others, while many have received nothing at all. At the UCCI political debate on corruption on Wednesday evening, the issue of pastors and church leaders openly telling their congregations to vote for a politician after receiving a donation was described by the candidates as corrupt, especially when that funding came from the public purse. When a member of the audience asked the panellists how they felt about church leaders who endorsed candidates who gave them money, they all agreed it was corruption. 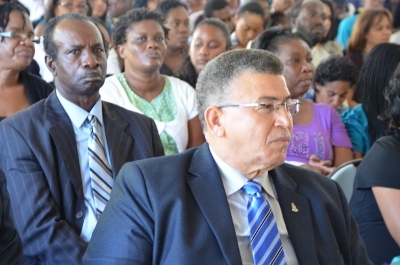 The question came after the former premier’s guest appearance on the stage at the first Sabbath Celebration of the Impact West Bay Campaign at the Adventist Church in the district, which had received money from the Nation Building Fund. Wayne Panton, a PPM candidate in Bodden Town, pointed to the need to separate religion from politics as it harmed the entire country when churches were manipulated. “It’s unacceptable, it’s wrong and a very bad idea,” Panton added. His party colleague who will be running in the capital, Marco Archer, illustrated the problem that many people appear to have with the NBF. He pointed out that certain churches in West Bay had received hefty donations over the last three years under the guise of building hurricane shelters, while others received nothing. 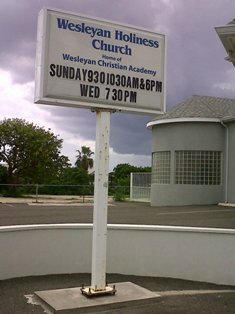 Despite this, one church in West Bay, which has the highest location in the district and the most suitable site for a shelter, did not receive a single cent. Archer implied it was more than a coincidence that several of the former premier’s political opponents belonged to that congregation. “Only a select few churches received money,” he said, adding this was “unequivocally nothing more than corruption.” Agreeing withBush that the church has an obligation to be a moral compass, to take money and then endorse the person who gave that money was wrong. Coalition candidate Jackee Haynes, who is also running in the capital, called on the congregations themselves to condemn such behaviour where their church leaders were endorsing candidates, and she said the silence of the people only facilitated it. 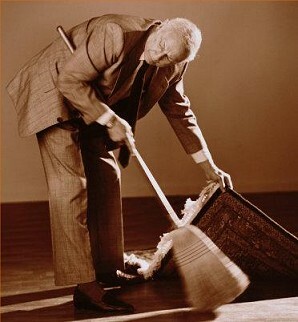 Her C4C colleague Roy McTaggart, who has been a member of the Commission for Standards in Public life for the last three years, in which it has struggled to make any inroads into addressing what is perceived as a significant problem, said it was “ terribly wrong” for churches to be asking government for money for their coffers. He said preachers encouraging their congregation to vote for a person that then gave money was vote buying. McTaggart said candidates should not be asking their pastors to endorse them but to campaign among the parishioners of their own church themselves as they would in the community at large. While all of the would-be political candidates were uncomfortable with the controversial nation building, the deputy premier, whose government had allocated several million dollars in the last three budgets, including to his own church, defended the donations to religious institutions. He said if government wasn’t going to give money to assist churches it would have to stop its assistance to a whole raft of other non-governmental organisations, from sports clubs to scouts. Rolston Anglin said that pastors should not be promoting candidates if the church had received money from them or government. But to stop giving money to the country’s churches would represent a paradigm shift in policy. However, he raised concerns about transparency, saying where government was partnering with a church to build a shelter, which “was a smart move”, it had to be clear about the rules of engagement and how money was given. It is the perception of the political control and manipulation of the Nation Building Fund that has caused concern in the community. The money is being managed and allocated via the finance ministry, which has now been taken over by Juliana O’Connor-Connolly, the new premier, but was originally created and managed by Bush when he was in that role, an issue which has caused concern for the auditor general as well. Alastair Swarbrick has indicated that his office plans to examine the fund as part of a value for money audit across government, looking at how money has been allocated because without transparent criteria for giving money there are risks to the public purse, the audit office has said. (CNS): Following what appeared to be much more enthusiastic commitment to the West Bay Road closure last week in the absence of the premier, at this Thursday’s press briefing Juliana O’Connor-Connolly pointed to more pressing priorities than the gazetting the new road and the controversial closure of the local highway. Last week the ministers indicated that the closure was imminent and likely to happen by Tuesday or Wednesday of this coming week, but the premier appeared less keen to commit to an exact date for the road’s closure. This comes in the face of expectations that activists could be taking legal action this week to stay the closure. Although the Cabinet members have claimed that the process being followed under the NRA agreement between the roads authority, the government and local developer, the Dart Group, is lawful and the same as any other road closure, campaigners say that the West Bay Road, as a significant highway which has been in public use for decades, cannot simply be closed under the same system used to close side or neighbourhood roads. Dart has already begun work on what government has said will be enhanced facilities at the Seven Mile Public Beach in preparation for an international volley ball tournament taking place at Easter, but what appeared to be the imminent closure of the first 1000 feet or more of the 4000 feet stretch that will eventually be closed may not be taking place quite as soon as the parties had envisaged. It is not clear what action is being planned but there are questions about the legality of the road closure process because of the length of time the West Bay Road has been closed. And while Cabinet said that the government was now legally obligated to close the road because of the agreement signed with Dart in December 2011, government may equally be facing other legal issues if it does close it. In addition, opponents to the closure have raised significant questions about the enshrined rights of access to the beach, which will be undermined when the West Bay Road is closed, as well as the dangers of having only one road in and out of west Bay when the goal was to have two and, worse, having that one road go across a bridge. 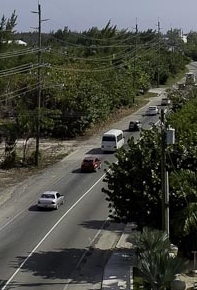 Cabinet ministers dismissed those fears on Thursday, with Cline Glidden stating that the enshrined access to the beach was still there and the public rights of way from the road to the beach every 200 yards applies only where the beachfront is developed. His colleague Mark Scotland also said the single road was not unlike the situation now at Grand Harbour with just one road going into George Town from the East.He dismissed fears about the bridge saying a single access road may be able to address problems of access should the bridge be compromised.